From Harvey nominated writer and artist Don Lomax and taken from the pages of his acclaimed Vietnam Journal series, comes the story of the Tet Offensive during the Vietnam War as seen through the eyes of a war journalist, Scott 'Journal' Neithammer, as he chronicles the lives and events of soldiers on the front line. 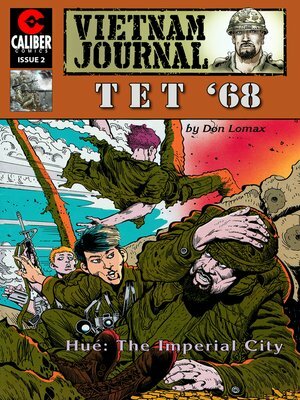 THIS ISSUE: "Hue: The Imperial City" The American command realizes that the latest assault by the Viet Cong is a massive one as multiple targets across South Vietnam are all hit at once. Escalating the war to an entirely new level.